Fill out the form below, and we’ll send you more information about the Research Administration, MRA program. Equip leaders and organizations to conduct ethical, smart research. Research administrators facilitate important work that spurs advancements across a wide variety of industries. When you earn your Master of Research Administration, you’ll enhance the qualifications and skills you need to deepen research that fuels innovation. 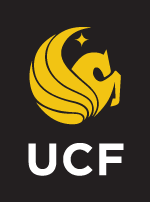 Through UCF Online you’ll acquire knowledge in important topics, including research, development and sponsored projects. 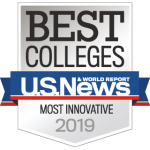 You’ll graduate with a deep understanding of organizational development, financial management, contract negotiation, proposal development, and legal, ethical and regulatory compliance. In addition, you’ll be equipped to protect intellectual property and seek out new areas for collaboration. UCF Online’s Master of Research Administration is offered completely online. Its flexible coursework prepares students to work in a variety of environments, including universities, hospitals, industry, research institutes and more. Get started today and harness the full power of transformative research.